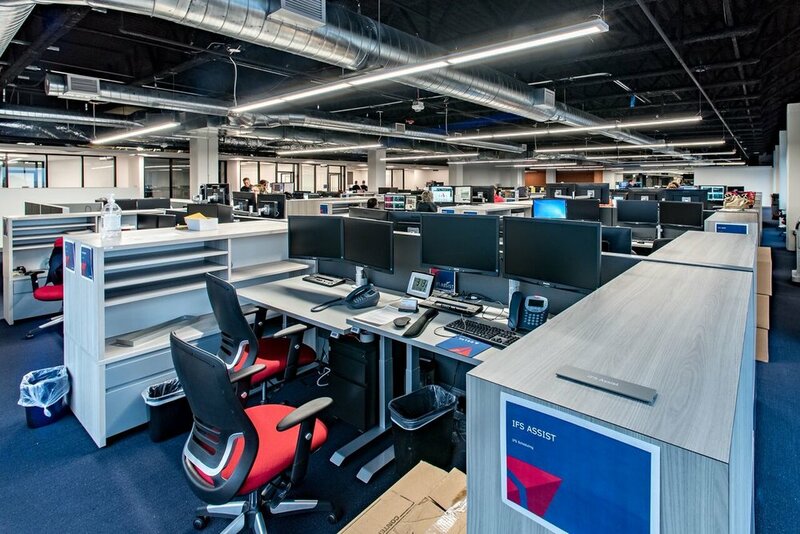 Green Heart Enterprises won our fourth 1st Place Build Georgia Award, and were mentioned in the Atlanta Business Chronicle for outstanding achievement for the Delta OC2.4 Co-location project! The Delta OC2.4 project allowed Green Heart to overcome many construction challenges, specifically meeting Delta’s aggressive schedule. GH received the Intent Drawings on April 6th, with a completion date requested by Delta of May 23rd. The space was to be built from the floor up. Due to IT requirements, installing a raised floor was required. In addition to the normal construction of an office build-out, a comm room was requested as well as a breakroom and a new set of restrooms. The drawings were amended 17 times. In many cases, walls were going up before the drawings were complete. GH employees and subs worked 7 days a week, 24 hours a day to finish the space. Six weeks later, with the careful coordination by Green Heart’s project management team, the deadline was met. In addition, we received an Excellence in Safety award for this project! We are honored to receive such prestigious awards and excited to continue our partnership with Delta.